As much as I love eating all kinds of Christmas food during the holidays, I can’t help but feel icky after having eating it all, especially the fried Colombian treats. To say that the scale goes up a few numbers after celebrating all month is a understatement and of course the promise of eating healthy in the New Year is a must! I’m a firm believer in drinking 8 glasses of water a day (I love water so that’s an easy one), getting at least 7 hours of sleep (sleeping is one of my guilty pleasures, so I do it everyday) and eating a good nutritious breakfast. Now, I do have a very busy schedule and can’t afford to get up early to make a full breakfast the way my mom used to make when I was a kid, besides, I wasn’t kidding when I said I love to sleep so getting up super early is not happening. 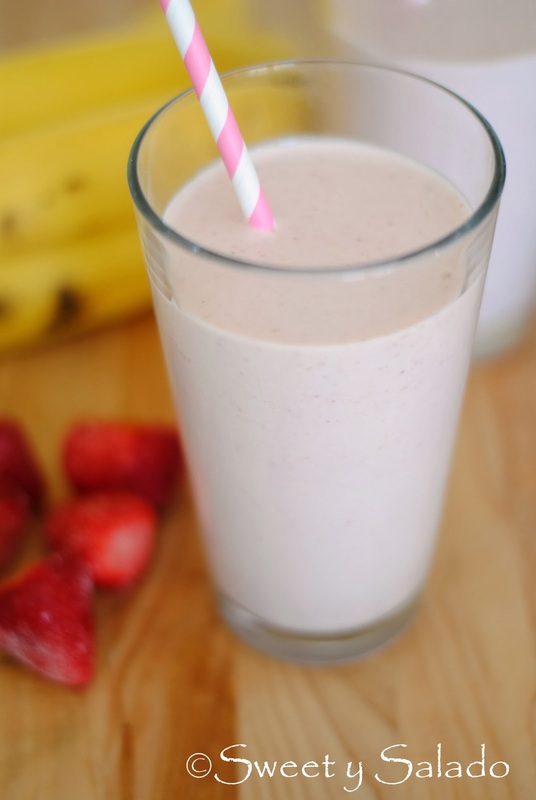 Making breakfast smoothies is a great way to get into the habit of eating a nutritious breakfast to start the day, plus it only takes a few minutes to make them. All you need is some of your favorite fruit, fat free milk, soymilk or almond milk, and as suggested by my husband, a good scoop of protein powder which is essential for your skin, bones and muscles. I also like to add some carbohydrates such as ground oatmeal because I find that it keeps me full longer. 1. 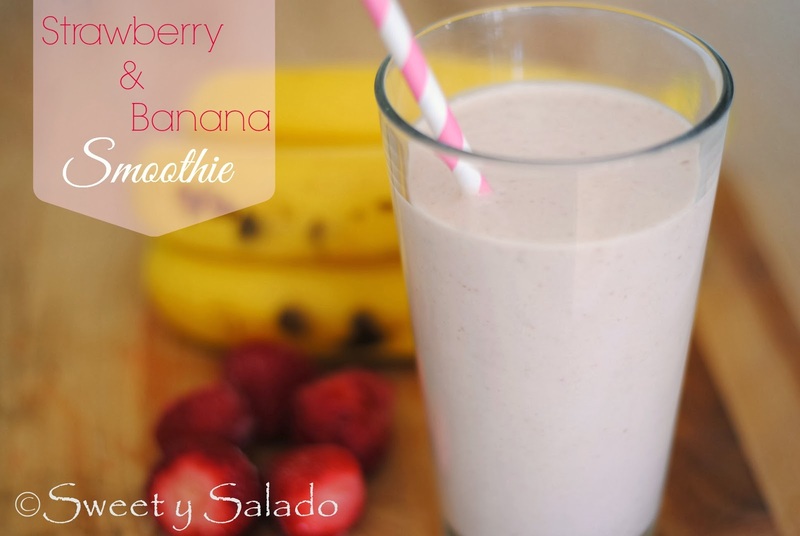 Place all ingredients in a blender and blend for about 30 seconds or until smooth. Serve and enjoy!